It's the last day of the Online Extravaganza! Have you placed your order? Click here to place your order! If your wish list is $94.00 then consider getting the starter kit. You get to choose $155.00 in new product and there is no shipping or Gst. Click here to join now! I always try to post fun projects for you to make and I have a fun and quick gift idea to share with you. These cute decorated chocolate bars are a perfect gift to have on hand. 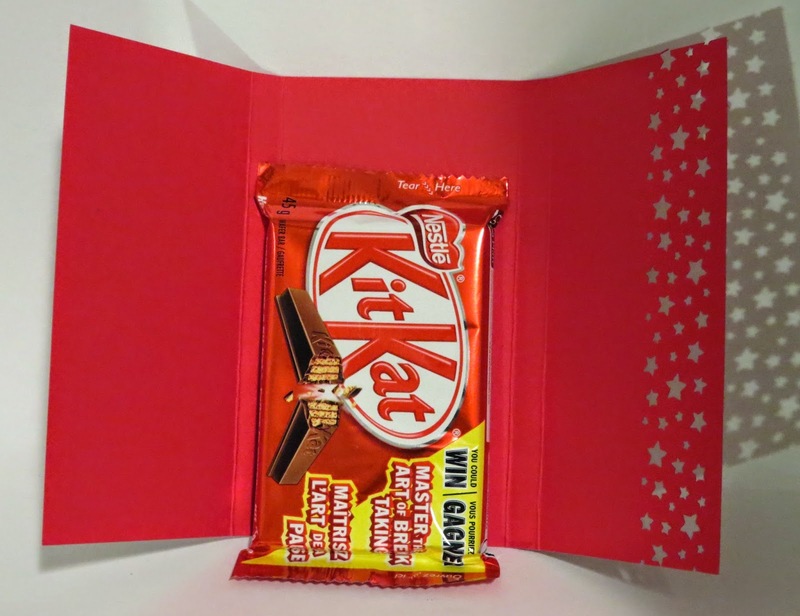 My wrapper fits a Kit Kat bar. The Real Red card stock is 5-1/4" x 8-1/2". Score the 8-1/2" side at 2-12/", 2-7/8", 5-5/8" and 6". I used the Confetti Stars punch and Noedic Noel Designer Series Paper to decorate my treat! Soft Sky 1/2" Seam Binding holds the treat closed. The greetings is from the Hello There hostess stamp set. 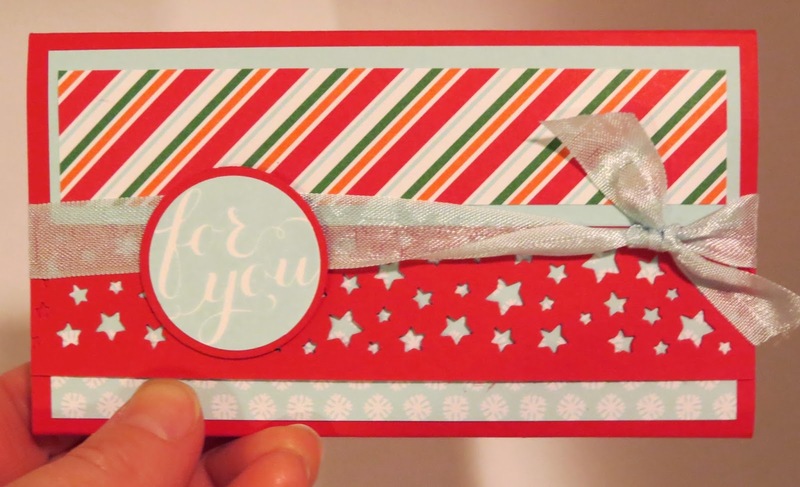 The greeting was punched out with the 1-1/4" circle punch and layered onto 1-3/8" Real Red card stock piece. I hope you like my treat!